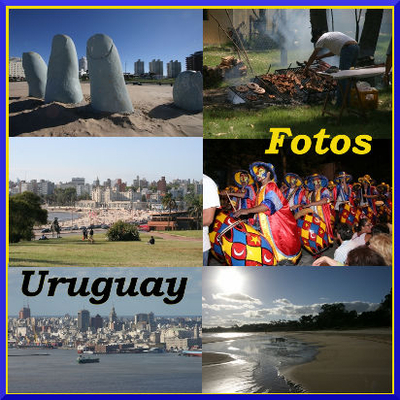 Uruguay (official full name in Spanish: República Oriental del Uruguay; ("Republic eastern of the (river) Uruguay") is a country located in the southeastern part of South America. It is home to 3.3 million people, of which 1.7 million live in the capital Montevideo and its metropolitan area. 2005 i migrated to Uruguay. Here in this Album you find a lot of Fotos of Uruguay, Landscapes, Beaches, Nature, Montevideo, Punta del Este, Maldonado, Rocha.